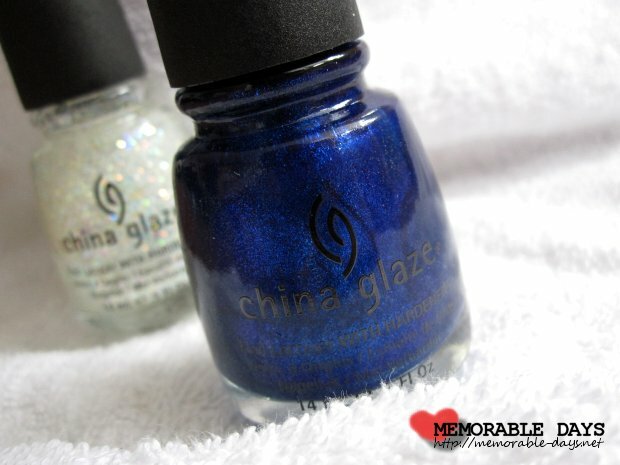 China Glaze - Blue Year's Eve #1021 Swatch | Memorable Days : Beauty Blog - Korean Beauty, European, American Product Reviews. 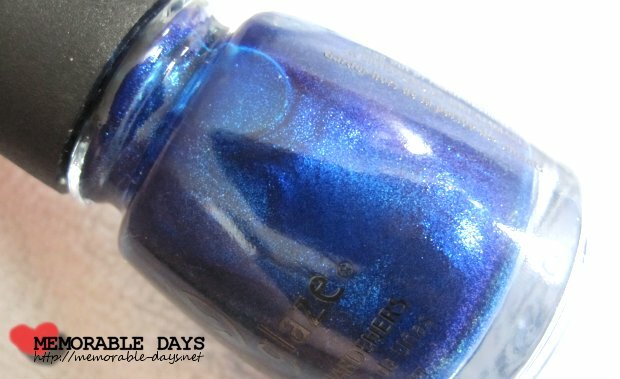 Today I'm going to show you some swatches of the nail polish: Blue Year's Eve #1021 from China Glaze. This is one of the nail polishes which is in the Let It Snow Collection 2011. Looks like a pretty blue right ^^? Have you missed my previous China Glaze Swatches? Brush is very good ^^. It's easy to apply the nail polish and it's not streaky at all! Not too thin, not too thick. It chipped approximately after 4 days. It really depends on your own nails, your activities how often you're using your hands, the top coat that you're using and the way you applied it. If you applied a thick layer of the nail polish, it will chip faster. It's a shimmer blue nail polish. I'm loving the color ^^! It's so suitable for the Let it Snow collection :D.
It's so shiny!!! and I didn't even apply the top coat here o.o"! I also applied one layer of China Glaze - Snow globe #842. Looks very pretty too ='D ! This product is sponsored by aiibeauty.com. Hij is leuk, maar ik heb geen hoog HEBBEN gehalte.